Thanks to a supply glut, it now looks like 100-110/bbl will be the ceiling rather than the floor in the oil markets. Financial markets are heating up across the globe. Countries are trying to keep their currency weak to protect and promote their economies by flushing the markets with liquidity. A similar battle is on in the oil markets. Oil prices have fallen to fresh multi-week lows on a supply glut from almost all players, as well as weakening demand from key economies such as Europe and China. What makes the present fall in oil prices peculiar is that prices are falling even when a number of oil producing countries are at war, or battling internal strife. Earlier even when one oil producer would be in trouble, oil prices would immediately react. This time the dynamics have changed, which is why expectations are that prices might fall further. But there is a limit to the where oil prices can fall to. Prices cannot keep on falling below the cost of production – once that happens, uneconomical wells will simply be closed. Then there’s the issue of oil producing countries’ need to keep oil prices high to balance their budgets. According to an article by energy analyst Rashid Husain Syed, Russia requires crude to be at $104 to balance its budget. An average price of $90 a barrel would put the Russia budget into deficit by 1.2% of the GDP. Among the Gulf producers, Iran has the highest fiscal breakeven price of $130 a barrel to balance its budget. UAE is satisfied with a price of $70 a barrel while Saudi Arabia requires oil prices to be at $90 a barrel to avoid a deficit. There are various conspiracy theories floating in the market. One of them is that USA and Saudi Arabia are keeping oil prices down to hurt Russia by keeping supplies high, like they did during Russia’s Afghanistan misadventure. Opec nations, which were used to controlling oil supply and prices, are no longer as effective as they used to be earlier. Opec has agreed to cut production only a handful of times in the past decade, most recently in the aftermath of the 2008 financial crisis. Over the last four years only Saudi Arabia, among the Opec nations, cut oil production to keep oil prices in check. But the dynamics of the oil market has now changed. According to a Barclays report rapid demand contraction, dollar strengthening and unexpected Libyan output return has lowered prices, and in combination with the contango - an over supply situation where the futures contract price is lower than the spot price -- shields the market from a disruption in supplies from Iraq or other Opec countries. More than Libya, though, it is the US that has disrupted the oil market. The US, which used to be one of the major importers of oil has now turned exporter thanks to rapid production of ‘tight oil’, as oil from shale oil/gas wells is known. Even if Opec countries agree to cut production, analysts feel that it will be not affect supplies as the US and Russia will continue to pump more oil. But oil producing countries have an advantage over the US. The first is that oil production in these countries is largely controlled by the state, unlike in America, where the production of shale oil/gas is in private hands. The second and the bigger reason why oil producers are at an advantage is on the cost of production. Oil production cost is in single digits in most if the Middle East countries, with operating cost in Saudi Arabia being the lowest at around $1-2 per barrel. Production cost of tight oil, however, ranges around $50 to $75 a barrel at the well head. According to Syed, a decline in Brent crude oil prices to $85 would likely be a major blow to US shale oil players and lead to a significant slowdown in investment. A Deutsche Bank report says that if Opec fails to cut production then around 9% of US shale oil output would be rendered uneconomical and the figure would jump to 39% if price falls to $80 a barrel. 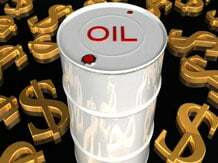 Analysts believe that bottom of oil price will be around the $80 level. But the economic impact of this level will be huge, especially in Middle East countries. Even through Saudi Arabia has put up a brave face by saying that they are comfortable with oil prices around $80-90 per barrel their economy cannot afford low prices. The Saudis are on a spending spree, with breakeven price increasing to $89 per barrel in 2013 from $78 in 2012. At this rate according to an IMF consultation paper Saudi Arabia will be in deficit in 2015 which will rise to 7.5% by 2019. The question now is who will blink first but it looks like a price of $100-110 per barrel will be the ceiling rather than the floor. We are now witnessing a new normal in the oil markets.